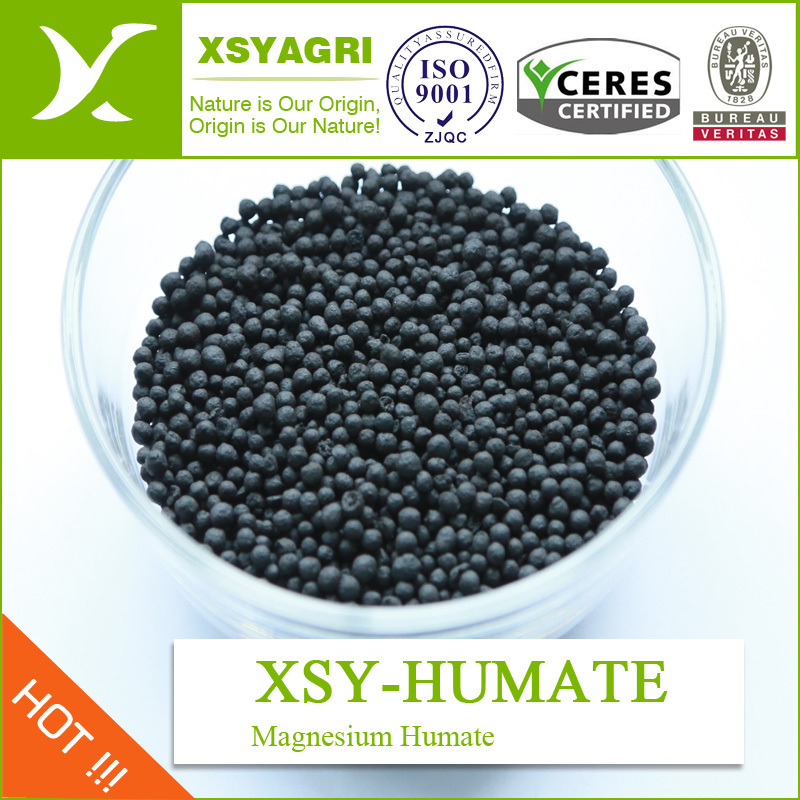 Magnesium Humate is a high polymer heterogeneous aromatic hydroxyl salt. It is black powder, slightly soluble in water, slightly soluble in alkaline solution. It works effectively to enhance the production quality of the soil. It is used in bio fertilizers to boost the productiveness of plants and soil by improving the hormones of the plants. Being non-poisonous in nature, it can be applied directly to the soil. Increasing the degree of fertilizer retention in the soil, preventing the runoff of other fertilizer components. Improving the structure of soil, increasing the buffering powder of soil, optimizing N. P. K absorption by plants. Looking for ideal Magnesium Humate Organic Fertilizer Manufacturer & supplier ? We have a wide selection at great prices to help you get creative. All the Magnesium Humic Acid Granule are quality guaranteed. We are China Origin Factory of Magnesium Humate Organic Soil Conditioner. If you have any question, please feel free to contact us.